Two decades of baseball champions will come together on June 11th to host World Series Legends, benefitting The Joe Niekro Foundation (JNF). Members of the 1968 and 1984 World Series Detroit Tigers will be at Motor City Casino, in Detroit, Michigan to support brain aneurysm, AVM and hemorrhagic stroke research and awareness. The evening, emceed by sports broadcaster Eli Zaret, will include a cocktail reception, strolling dinner and culminate with a panel discussion including some of the greatest legends of the game: Al Kaline, Willie Horton, Mickey Lolich, Jack Morris, Alan Trammell and Lou Whitaker. Other Tigers guests will include Rick Leach, Scott Lusader, Dan Petry, Dave Rozema, Pat Sheridan, Jon Warden and Pio DiSalvo. Tiger fans everywhere are invited to attend. Tickets can be purchased online here. One Champion who will greatly be missed this year is former Tiger and JNF Chairman of the Board, Dave Bergman. Bergman lost his life this past February and to recognize him and his philanthropic efforts, a tribute will be made in his honor during the dinner. “Both Dave and Joe were great friends of mine and I am very glad to be a part of this event and honor their memory”, says Hall of Fame great Al Kaline. After former Tiger Joe Niekro’s tragic and sudden death in 2006 as a result of a brain aneurysm, his daughter Natalie established The Joe Niekro Foundation, committed to supporting patients and families, research, treatment and awareness of brain aneurysms, AVM’s and hemorrhagic strokes. The foundation strives to raise awareness about the risk factors, causes and treatments of these conditions, while helping support the advancement of neurological research. Joe Niekro was one of the approximately 30,000 Americans to experience a brain aneurysm that bursts, usually resulting in sudden death. It is estimated that 6 million people in the US have a brain aneurysm, as many as one in 50 people, and every 18 minutes a brain aneurysm ruptures. 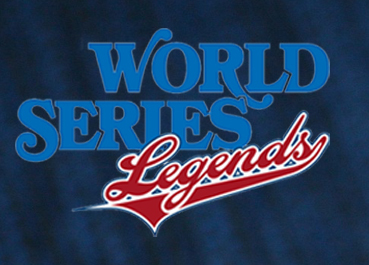 World Series Legends promises to be a memorable event, with some of the greatest names in baseball together in one place. The event begins at 5:30pm with a VIP Tiger Legends cocktail reception for premium ticket holders. Tickets can be purchased at JoeNiekroFoundation.org or call 602-318-1013.